There was once a little girl, so fine and pretty, but in the summer she always had to go barefoot, for she was poor, and in the winter she had to wear large wooden clogs, and these made her little ankles turn bright red and look horrible. In the middle of the country village lived old Mother Shoemaker, she sat sewing – as best she could – a pair of small shoes out of old red strips of cloth. They were rather clumsily made, but well-meant, and those the little girl was to have. The little girl’s name was Karen. On precisely the day her mother was buried she was given the red shoes and wore them for the first time; they were not exactly right for mourning, but she didn’t have any other shoes and she walked bare-legged behind the poor straw coffin with them on. One day the queen was travelling through the country and with her she had her young daughter, who was a princess, and people flocked to the front of the palace and Karen was there too, and the young princess stood in fine, white clothes in a window and let the people gaze at her; she wore neither train nor crown, but had lovely red morocco shoes on; they were certainly much finer than those Mother Shoemaker had sewn for little Karen. Nothing in the world, though, could compare with red shoes! Now Karen was old enough to be confirmed, she was given new clothes, and was also to have new shoes. The proper shoemaker in town measured her small feet – that was done in his own living room – and there large glass-fronted cabinets stood with elegant shoes and gleaming boots. It looked very fine, but the old lady had poor sight, so she got no pleasure out of that; among all the shoes there stood a pair of red ones, exactly like the ones the princess had worn – how beautiful they were! The shoemaker also said that they had been sewn for the child of a count, but had not fitted her. ‘Yes, they’re all shiny!’ Karen said; and they fitted her and were bought; but the old lady didn’t realise they were red, for she would never have allowed Karen to go to her confirmation in red shoes, but that was what she now did. Everyone looked at her feet, and as she walked up the aisle of the church to the chancel doorway it seemed to her that even the old pictures of the funerals, those portraits of vicars and their wives with stiff collars and long black robes, fixed their eyes on her red shoes, and these were all she thought of when the vicar placed his hand on her head and spoke of holy baptism, of the covenant with God and that she was now going to be a grown-up Christian person; and the organ played so solemnly, the beautiful children’s voices sang and the old cantor sang, but all Karen could think of was her red shoes. By the afternoon, the old lady had got to know from everyone that the shoes had been red and she said that was bad and quite out of place and that Karen from now on, whenever she went to church, was always to wear black shoes, even though they were old. The following Sunday there was holy communion, and Karen looked at the black shoes, she looked at the red ones – and then she looked at the red ones once more and put them on. It was lovely sunny weather; Karen and the old lady took the path through the cornfield – it was quite dusty there. At the church door there stood an old soldier with a crutch and a strange, long beard that was more red than white, for red it was; and he bent right down to the ground and asked the old lady if he might wipe her shoes for her. And Karen immediately stuck her little foot out too. ‘Just look, such lovely dancing shoes!’ the soldier said, ‘stick tight when you dance!’ and he tapped the soles with his hand. And the old lady gave the soldier a small coin and then she and Karen went into the church. And everyone inside looked at Karen’s red shoes, and all the pictures looked down on them and when Karen knelt at the altar and placed the golden chalice to her lips, all she could think of was the red shoes and it was as if they floated around in the chalice; and she forgot to sing her hymn, she forgot to say the Lord’s Prayer. Then everyone left the church and the old lady got into her carriage. Karen was lifting her foot to get in after her when the old soldier, who was standing close by, said: ‘Just look, what lovely dancing shoes!’ and Karen couldn’t help herself, she had to do a few dance steps, and once she started her legs went on dancing, it was as if the shoes had taken control of them; she danced around the corner of the church, she couldn’t help herself, the coachman had to run after her and catch hold of her, and he lifted her into the coach, but her feet went on dancing, so she came to kick the good old lady hard on the shins. Finally they got the shoes off and her legs quietened down. Back home, the shoes were put away in a cupboard, but Karen couldn’t stop looking at them. Now the old lady lay ill, they said she couldn’t live long! She had to be taken care of all the time and Karen was the most obvious person to do so; but down in the town there was a large ball to which Karen was invited – she looked at the old lady, who hadn’t long to live anyway, she looked at the red shoes, and she couldn’t see anything sinful in it – she put on the red shoes, that couldn’t do any harm – but then she went off to the ball and started to dance. But when she wanted to dance to the right, the shoes danced to the left, and when she wanted to dance up the floor, the shoes danced down the floor, down the staircase, through the street and out of the town gate. She danced and she couldn’t stop dancing, right out into the dark forest. Then she was frightened and wanted to throw away the red shoes, but they stayed put, and she ripped off her stockings but the shoes had become glued to her feet, and she danced and couldn’t stop dancing over the fields and meadows, in rain and in sunshine, both night and day, though it was most horrible at night. ‘Mercy!’ Karen cried out. But she didn’t hear what the angel replied, for the shoes carried her through the gate, out into the field, along highways and byways – and all the time she had to dance. One early morning she danced past a door she knew well; inside there was hymn-singing, a coffin was borne out that was adorned with flowers; then she realised that the old lady was dead and now she felt that she had been abandoned by everybody and cursed by God’s angel. And then she confessed all her sins, and the executioner chopped off her feet with the red shoes, but the shoes danced with the small feet across the field into the deep forest. And he carved wooden feet for her and crutches, taught her a hymn, the one sinners always sing, and she kissed the hand that had swung the axe and went off over the heath. ‘Now I’ve suffered enough for the red shoes!’ she said, ‘now I will go to church so they can see me!’ and she walked briskly towards the church door, but when she got there the red shoes danced in front of her and she was frightened and turned away. She was miserable for a whole week and wept many heavy tears, but when Sunday came, she said ‘Right! now I have suffered and fought enough! I’m sure that I am just as good as many of those sitting holding their heads up high in the church!’ and she set off in high spirits; but she hadn’t got further than the church gate when she saw the red shoes dancing in front of her and she was frightened and turned away and repented her sins with all her heart. And she went to the vicarage and asked if she could work there. She would be diligent and do all she could, she expected no money, only wished for a roof above her head and to be with good people. And the vicar’s wife felt sorry for her and took her in. And she was both diligent and thoughtful. She sat quietly listening when the vicar read aloud from the Bible in the evening. All the young ones were very fond of her, but when they talked about frills and finery and being lovely like a queen, she shook her head. ‘It was mercy!’ she replied. And the organ rang out and the children’s voices in the choir sang so sweetly and beautifully! The bright sunshine streamed in through the window down onto the pew where Karen sat; her heart was so filled with sunshine, with peace and joy that it broke; her soul flew on the sunlight to God – and there was nobody there who asked her about the red shoes. Red is a colour with many meanings. It is the colour of blood, the colour of danger, the colour of temptation, passion and love. Hans Christian Andersen’s The Red Shoes, at first glance seems like a cautionary tale about vanity, and maybe it is. But, in my opinion, the story examines the idea of the choices we make, both mundane and extraordinary choices. 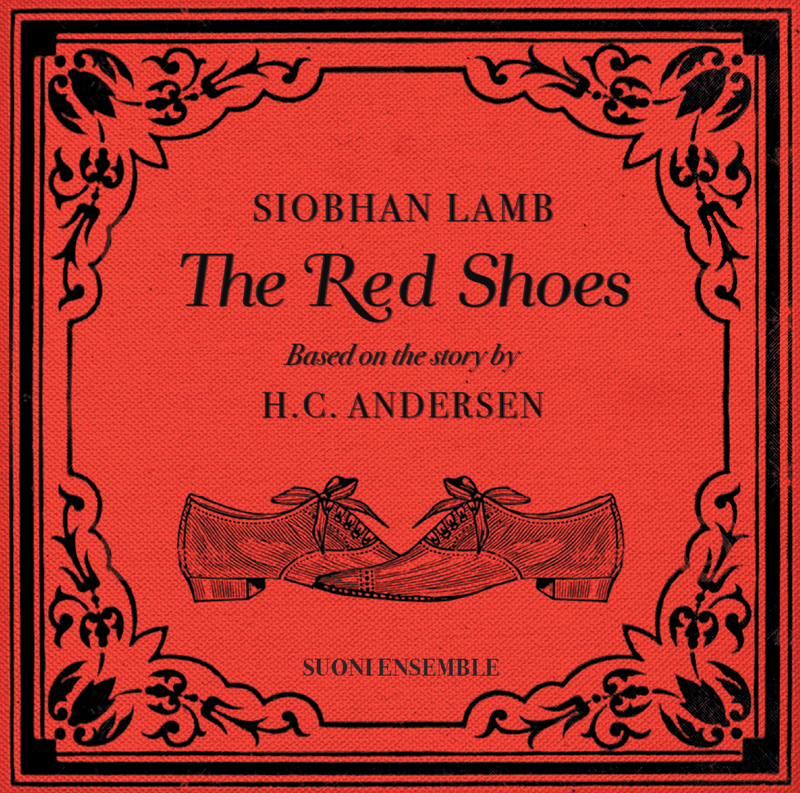 In Andersen's disturbing story, the little orphan girl Karen is punished for her vanity in coveting red shoes and daring to wear them to church. But is she actually being punished for choosing to be different? There can be a lot of pressure on people to conform and be the same which does not suggest freedom of thought or creativity. However, in this story, we also see the dangers of temptation, and we begin to feel that what started out as a free choice to wear red shoes becomes something more of a compulsion. It seems that there is a loss of freedom to say “no” to the red shoes after a while. This leads us to think again about what choice is and how to create a balance within those choices. H.C. Andersen shows us in the story that it can be fatal if you do not find this balance. In the fairy tale, Karen is condemned to dance in her shoes until her skin clings to her bones as if she were a skeleton. It seems certain she would have danced herself to death but for the fact that her wild, abandoned steps lead her to the town executioner, who chops off her feet. I see this brutal part of the story as a metaphor for removing parts of your personality that is not fitting in with the group ... However, I am not sure whether or not that is a good thing! In our interpretation, we replaced Karen with the boy Carl because we wanted to focus more on the metaphor for being different, avoiding getting into a discussion about what girls should wear.